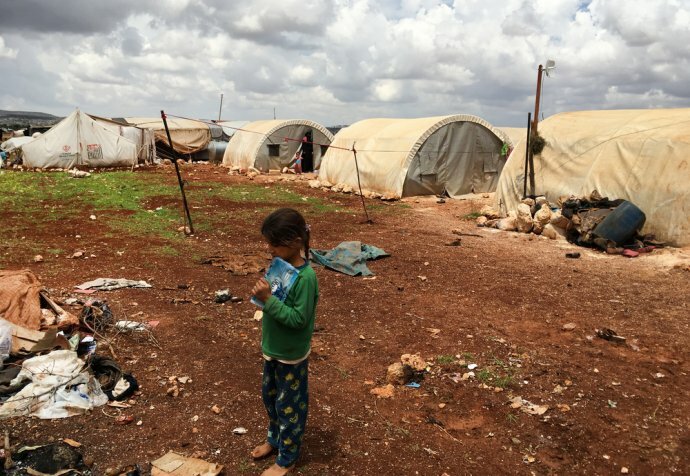 Hundreds of thousands of Syrian civilians have lost their lives in over 7 years of armed conflict, which began with anti-government protests before escalating into a full-scale civil war. 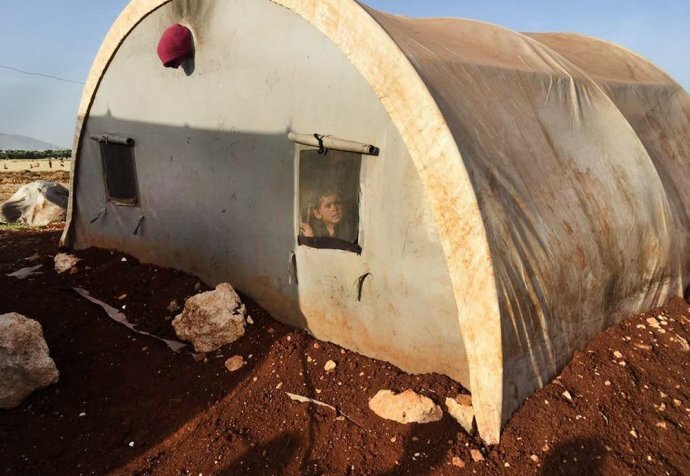 More than 11 million people have been forced from their homes amongst clashes between supporters of President Bashar al-Assad and those opposed to his rule - as well as jihadist militants from the so-called Islamic State. The United Nations has estimated that over 13 million Syrians are in need of immediate humanitarian assistance. An estimated 6.5 million people are internally displaced in Syria, with over 5 million Syrians seeking asylum internationally. Closed borders, appalling living conditions and limited assistance have compounded their suffering. People fleeing violence live in camps, improvised shelters or with host families. Violence, attacks on health facilities, the absence of government authorisation and the reneging by armed groups on guarantees of safety for MSF teams have been major obstacles to a more extensive program of medical humanitarian aid in Syria. The conflict in Syria is defined by brutal violence that does not distinguish between civilians and combatants. Siege warfare has been widely used in Syria. Civilian areas have been routinely bombed and deprived of assistance. Early on, the systematic bombing of civilian areas made it a priority to help treat the wounded. 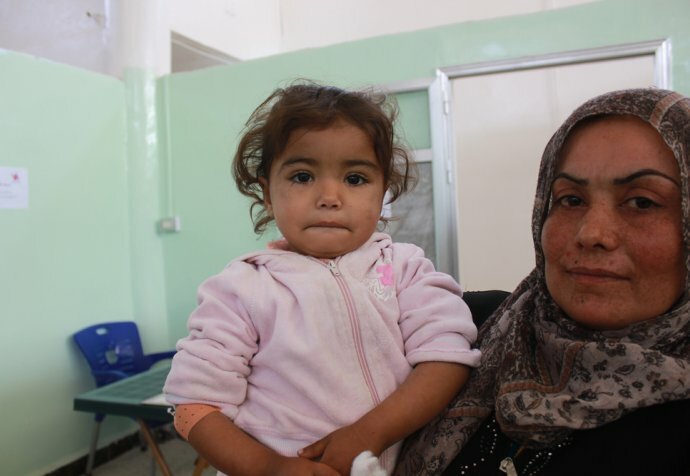 We opened surgical facilities in the north, provided supplies and training to health staff across the country, and set up cross-border trauma care in Jordan. As living conditions deteriorated in the north, we set up a surgical burns unit. MSF was one of the only organisations to start providing medical assistance inside Raqqa, through a primary healthcare unit and a stabilisation point. Even as the violence subsided, and residents started to return home, staff saw a sharp increase in the number of patients wounded or killed by booby traps, improvised explosive devices (IEDs), mines and explosive ordnance that littered the city or deliberately left in homes, on agricultural land and along roadsides. MSF has been present in Syria since 2009. Teams continue to provide medical and humanitarian assistance in the country but activities are severely limited by insecurity and constraints on access. Thousands of doctors, nurses, pharmacists and paramedics have been killed, kidnapped, or displaced by violence, leaving a massive gap in medical expertise and experience. 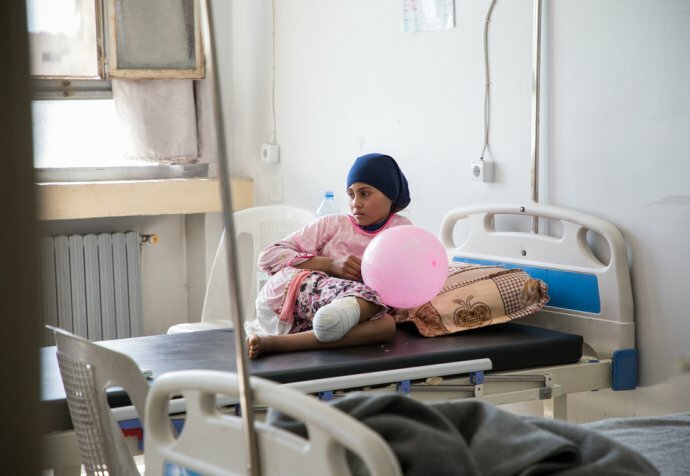 In 2017, 11 medical facilities supported by MSF were hit by bombs or shells on 12 occasions in targeted or indiscriminate attacks. The Syrian government has not granted MSF authorisation to operate in the country despite repeated requests, and our presence in areas outside government control is minimal. Unable to obtain government permission to assist the sick and wounded, we started by supporting underground medical networks. Our main programs are in the governorates of Aleppo, Idlib, Raqqa and Hassakeh. In addition to providing medical care, we carry out water and sanitation activities and distribute relief items. Syria’s once fully-functional healthcare system has been devastated as hundreds of medical facilities have been bombed, and medical staff have fled or been killed. Preventable diseases have made a resurgence as common needs go unaddressed. Syrian health staff have been forced to improvise operating theatres and work in deplorable conditions, overwhelmed by the emergencies they face. Basic essentials such as medical supplies are restricted amid intense bombing and shelling. Unable to enter these areas, we remotely support medical facilities in besieged areas as necessary. The consequences of interrupted treatment for chronic diseases such as high blood pressure or diabetes can lead to serious complications. Mobile clinics have increasingly become a central part of our response, to provide preventative care and basic treatment to besieged districts as well as camps in surrounding areas. Since no regular vaccinations have been administered in some areas (such as Aleppo) since 2014, MSF launched a large-scale vaccination campaign.